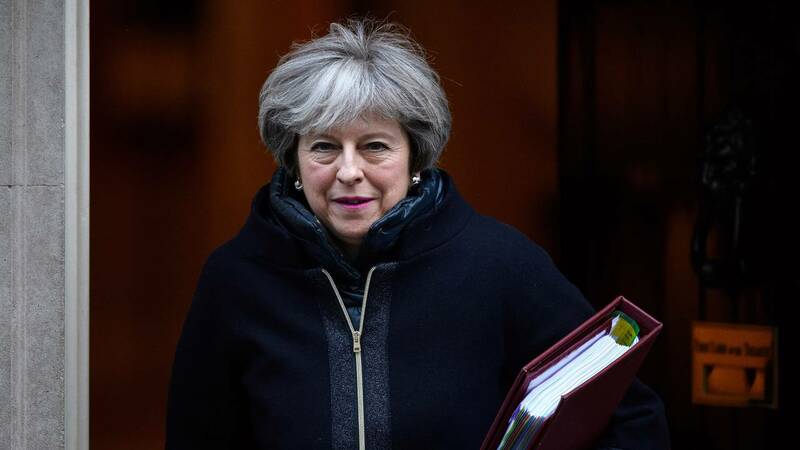 (CNN) - UK Prime Minister Theresa May declared Brexit negotiations were "in the endgame" Monday night, but warned that clinching a deal was "immensely difficult." Addressing leaders of London's financial district, where anxiety is mounting about the economic impact of a no-deal Brexit, May said that an agreement would not come "at any cost." "Any deal must ensure we take back control of our laws, borders and money," she said. "It must secure the ability to strike new trade deals around the world." Michel Barnier, the chief European Union negotiator, earlier that day told European ministers negotiations had run into the early hours of Monday morning. Talks were so intense and protracted that Barnier canceled a planned press conference Monday so he could continue thrashing out a deal, a European diplomat told CNN. A key sticking point is the Irish border. Currently, the UK and Ireland are both part of the EU single market, so goods passing between the two regions do not need customs inspections. Both sides want to avoid a "hard border" between Northern Ireland and Ireland which would require infrastructure and customs checks, but cannot agree on the terms. If no agreement is made, a backstop will come into effect in 2020 which will effectively see Northern Ireland remain in the EU customs union. Both EU and British officials declined to comment on reports that European Council President Donald Tusk had given May a deadline of Wednesday night to agree a deal. Once Barnier indicates that sufficient progress has been made towards a deal, it will take 10 days to two weeks to call a summit to approve it, the officials said. May has been scrambling to finalize a deal by the end of November in order to put a "meaningful final vote" before MPs ahead of Christmas. Time is ticking. The UK is scheduled to leave the EU on March 29, 2019. Earlier this week, Jo Johnson resigned as transport minister and called for a second referendum on Brexit. "We are barreling towards an incoherent Brexit that is going to leave us trapped in a subordinate relationship to the EU, with no say over the rules that will govern huge swathes of our economy,"Johnson said in a video statement posted online. After nearly 18 months of grueling negotiations, May is widely reported to be nearing a deal that would tie Britain to EU rules and regulations for a transition period. The prime minister has flatly rejected calls for a second Brexit vote. "The referendum in 2016 was the biggest democratic exercise in this country's history," her spokesperson told CNN. "We will not under any circumstances have a second referendum."